are made in all quality and price ranges, and they come in in various sizes. They can be mass produced or a boutique variety. 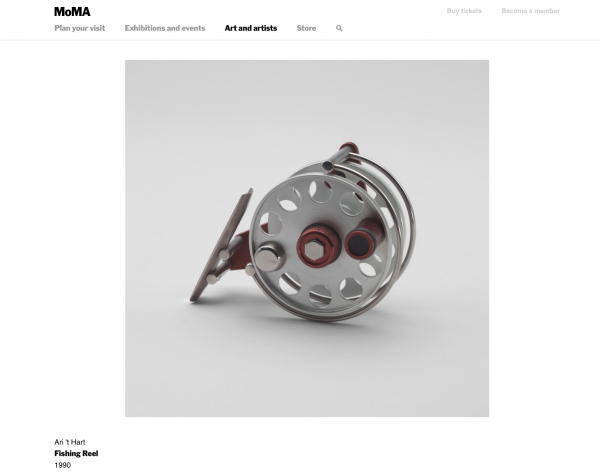 There are many quality reels of exquisite design around, and MOMA has one. Here is a French site that lists nearly all reels made, if not all. 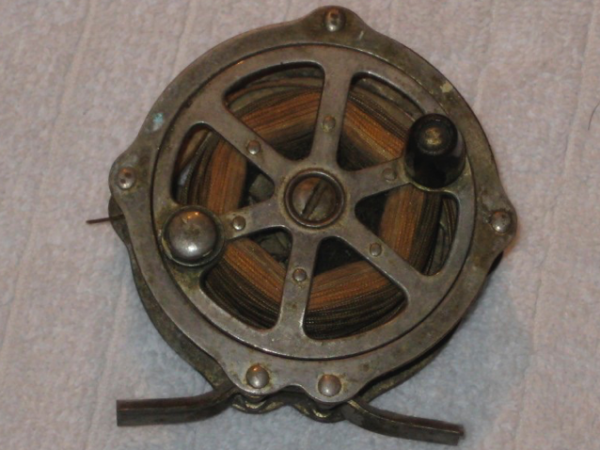 A fly reel has three functions. It stores the fly line and the backing. It has an inbuilt brake to slow down fish as they peel out line in their escape attempt. For the long rods the reel must have considerable weight to balance the rod. If there is no brake on the reel it will over-spool if a fish suddenly peels out line. That will lead to a tangle, and the fish will break off. But if we set the brake to maximum the fish will just snap the leader. This is a cruel world. Set the brake so the spool does not rotate freely but avoid having it too tight. I like best the Large Arbor reels because their line retrieval is the quickest. All reels have the possibility of multiple spools with various lines loaded, i.e. floating, sinking, or intermediate lines. That is great when fresh water fishing, because the fish stay put in their pool when you change the spool. It does not work at all in the salt. When you have managed changing the spool, the fish is gone several times over. I have 2-3 rods strung up with different lines and flies when fishing from a boat in the salt. 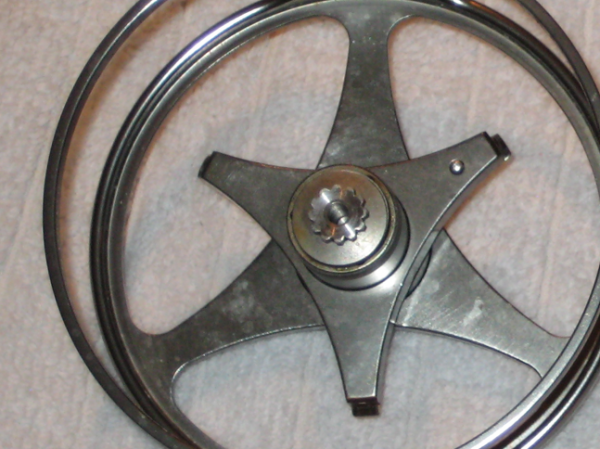 Reels are mostly made of aluminum because of weight considerations. 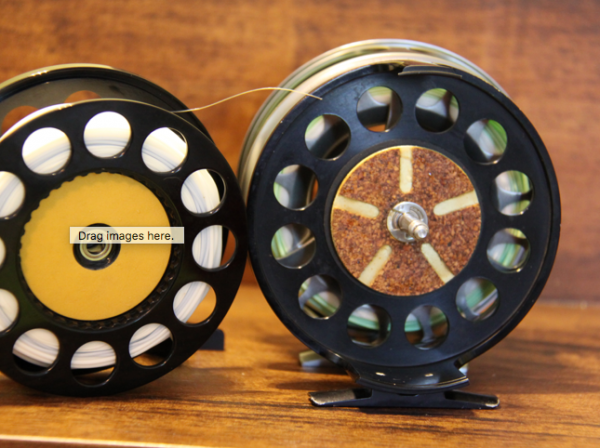 If you are fishing for trout, you do not need a fancy reel. A simple reel with a click and pawl drag is adequate, and if you luck into some monster you can palm the reel (place your hand against the revolving spool) for additional brake effect. There are some reels that use cork against plastic for the brake. It is a very smooth brake system but exposed, and the cork needs maintenance. You will see reel ads with “maintenance free …..” (nothing mechanical can ever be) and low startup inertia (this is where your eyes glaze over – hint, read Newton). These reels are fabulous but very expensive. It is the old chestnut – your wants are not your needs. If you are going for bigger fish, then better brakes are needed. I recommend reels with closed brake systems since sand and grit easily can get into a reel. When fishing the salt, the brake system needs to be closed and the brake function top notch to slow down big strong fish. The saltwater reels can get hot when strong fish pull on the brake, and the heat needs to be dissipated. Otherwise they seize up. These drag systems are of the so called “bar drag” variety. That simply means the brake is compressed around the central spindle to increase the drag. These drag systems always are centrally placed on the reel. The reels can be set up for both right hand or left hand retrieve. The reels allow for both. I use my right hand for retrieve since I can crank much faster with my dominant hand. When I hook something big, I transfer the rod to my left hand and crank with the right. However, there are many ways to skin a cat and many right-handed anglers retrieve with their left. The southpaws do the exact opposite. I like best reels with the drag knob on the same side as the handle. That makes it easier to adjust the drag if needed. When you hook a big fish, it will tear out the whole fly line and into the backing. You need 200-300 yards of 20-30-pound backing on your reel. Just be careful not to have too much backing because the fly line might jam against the non-moving reel parts. I like my rod and reel to be matching, meaning I want a balance point within my hand where I hold the handle. For a big heavy rod, it is a must to match it with a heavy reel. For a small rod, vice versa. The reels are produced for the line sizes we have. 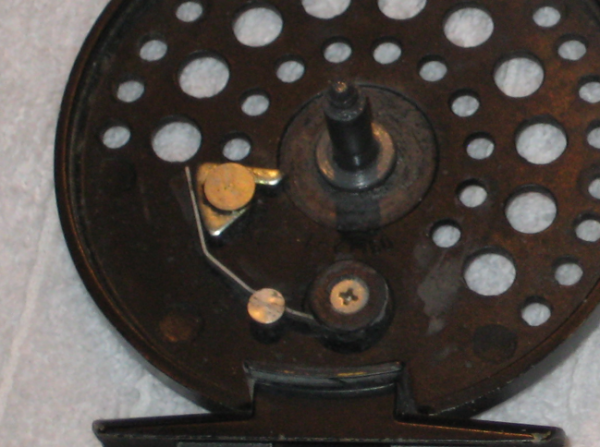 Usually the smallest reel version is for the 3-4 smallest line sizes. 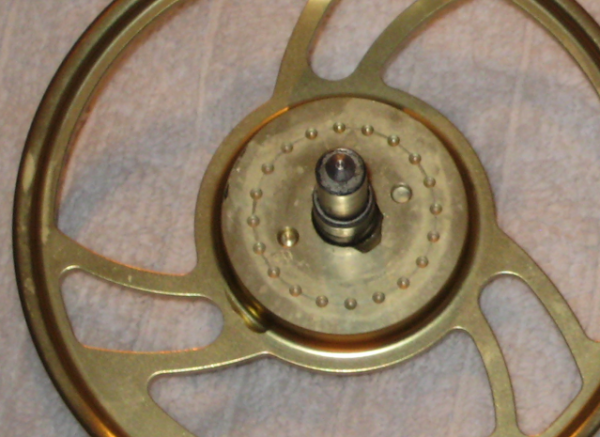 The same type of a reel usually exists in a small to medium to a large version. The biggest salmon and saltwater fly reels retail up to $1000. 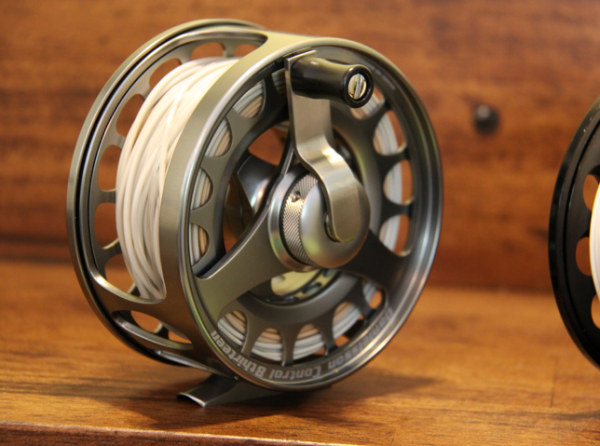 Clearly, the reel carries some serious bragging rights. If the reel is used in the salt it must be washed and dried after every trip. The same goes for all equipment used in the salt after every outing. Galvanic corrosion is a fact, and a reel of aluminum with stainless steel screws or metal parts inside will show galvanic corrosion after a while if it is used in the salt. There are lubes that counteract this corrosion, and I marinate my saltwater reels in those.